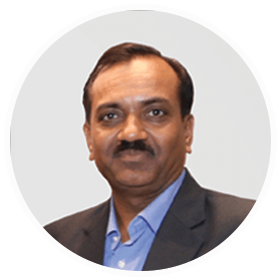 Mandar holds an MBA degree from the world-renowned business school-INSEAD, and a civil engineering degree from University of Texas, Austin. 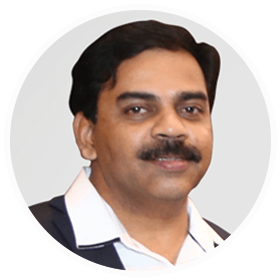 Although he began his career in information technology, he gave it up to join his family business of construction in Pune and led the diversification of the business in real estate and property development. Mandar is reckoned as a visionary with the foresight to transform barren lands in the middle of nowhere to sustainable, beautiful neighbourhoods. He is an explorer with a love for the latest gadgets and technologies. Mr. Awate is Synergy's all-rounder. A post graduate in science and graduate in journalism and mass communication, he started his career in village level planning of land and water resources. With this expertise, he later diversified into building construction and property management. Liasoning, legal, land issues and finance are his focus areas. Over the last 17 years, he has acquired skills in business management and partnership formations. A socialist by nature with a vision of giving back to the society, he strives for the development of the deprived. Amruta holds a master's degree from Southwest Texas State University. Prior to that, s he acquired her civil engineering degree from the University of Pune and completed her MBA from North Maharashtra University. 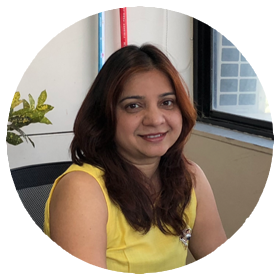 Amruta has more than 10 years of experience in the construction industry, and her area of specialization is swimming pool construction. A real livewire, she brings her entrepreneurial energy to Synergy and helms the company in its drive to create and preserve edifices of earthy excellence. Her vibrant nature and relentless energy charges everyone around her and encourages them to dream bigger. 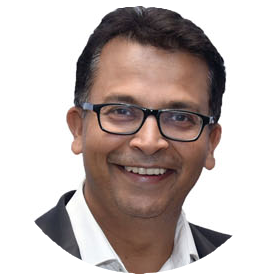 Ganesh is an alumnus of the cultural powerhouse that is Jnana Prabodhini Prashala, a civil engineer and MBA from the University of Pune. Starting his career in village level planning of land and water resources, he later diversified in building construction and project management services for renowned corporate houses and multinational companies. Synergy benefits immensely from his expertise in development and redevelopment in urban areas. To make Synergy a well recognised brand in the Weekend Homes segment by providing a unique village centric development model. To make village living accessible to customers by constructing quality holiday homes around villages. Being close to our customers' world and their changing lifestyle needs is fundamental to all our endeavors. Our decisions are guided by the philosophy of putting 'customers first' and enhancing their lives through innovative offerings in the weekend home segment. We are committed to delivering excellent quality across all our offerings and services thereby enhancing our customers' living experiences. Care and concern for the environment without disturbing the ecology balance is paramount to all activities and we achieve this by having an inclusive approach to development. At Synergy, we emphasize on achieving synergy in all areas of our operations. We develop projects in close coordination with village communities, and make certain that our development adds value to not just our clients, but to the surrounding rural population as well. At all times, we deliver on what we promise and honour our commitments. A desire to reconnect city dwellers with their roots was not just a business decision for us at Synergy. It came straight from the heart. From 2008, we started identifying exotic yet easily accessible locations in Maharashtra, particularly in the outskirts of Pune. What gave us the edge were our three core principles - emphasis on clear titles, proper documentation and local co-operation. Customers started trusting our expertise in developing beautiful and healthy habitats. Our planned infrastructure, facilities, superior design and quality ensured total comfort, security and peace, and we grew in confidence and scale. Now we hold significant land banks around Pune and are moving ahead with newer ideas like Synergy Holiday Village theme homes across various parts of Maharashtra. Total number of land parcels acquired since 2008 : 250 acres, and the figure is growing. For discerning and nature- loving customers, we have become a name synonymous for land investment, development and maintenance, and the preferred weekend home partners to many. 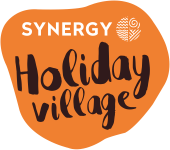 Come, join the family of hundred other residents of Synergy Holiday Village. Come, reconnect with your roots.